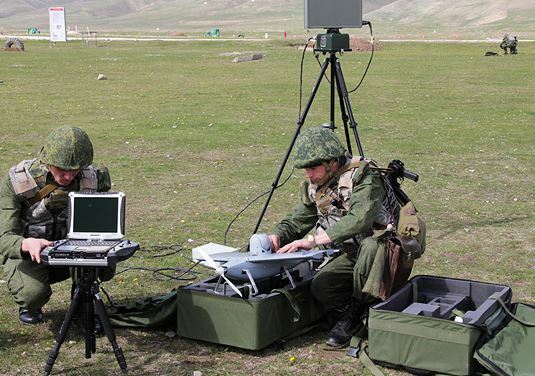 On Radioelectronic Warfare (REB or РЭБ) Specialists’ Day, Krasnaya zvezda interviewed the Chief of REB Troops, Colonel Oleg Anatolyevich Ivanov, about trends and developments in his branch of service. Ivanov says the growth of information technology for military command and control has given rise to a new kind of confrontation–achieving C2 supremacy and it can exert a decisive influence on a war. And REB has ‘priority significance’ in this area. The basic mission of REB is gaining and holding C2 supremacy in combat actions. Ivanov notes also REB Troops’ role in information protection. He says they exert control over the military radio transmission network and radio discipline has been pretty good; the number of violations are down. Ivanov says formations (brigades), units, and sub-units participated in Kavkaz-2009 and Zapad-2009 to create a complex radioelectronic situation for the networks of the exercise participants. Combined arms units learned to fulfill their missions in conditions of active radioelectronic jamming. REB units and sub-units worked out their radioelectronic suppression missions against the probable enemy’s targets as well as the radioelectronic defense of their own troops. REB Troops received positive evaluations. Asked about defense industry support to the REB Troops, Ivanov says 120 enterprises are involved, and they are largely divided, as in Soviet times, into two practically independent directions–those that work on REB systems and equipment against troop C2 on the one hand, and against weapons C2 on the other. Sozvezdiye leads the former, and Rostekhnologiya’s ‘Electronic Technologies’ the latter. He notes that Vega, OSK, and some independent enterprises are players also. Not surprisingly, Ivanov says to accelerate the development of new EW systems ‘structural integration’ of these OPK enterprises is needed. And a lead organization to make scientific-technical decisions is needed too. Coordination of efforts will optimize the use of time and resources for creating new systems and equipment. But Ivanov doesn’t say who his favorite to be the industry lead is. Ivanov says Russian EW means are equal to the best foreign counterparts. They can neutralize and block the most dangerous armaments (particularly, highly-accurate weapons) in real time. Automated jamming stations from the 1980s and 1990s are serving well with modernization and are meeting current requirements [does this mean there’s been nothing new in the interval?]. But Ivanov says fundamentally new and unique multifunctional systems are being created along with incremental improvements in older systems. He can’t say more owing to their secret nature. He thinks it’s possible, however, to say they represent technological breakthroughs. Ivanov calls EW comparable in effect to the employment of modern highly-accurate weapons, and, by some indicators, even superior to them. KZ asks Ivanov about personnel issues, particularly one-year conscripts and young officers. He responds that the issue of training specialists is very acute. The rapid introduction of new equipment leads to the need for mass retraining of specialists, not just soldiers and sergeants, but officers too. Officers might get a two-week retraining course, but a soldier takes several months and then only half a year remains for him to serve. So all personnel are tested in the Inter-Service Training Center to evaluate their capabilities for assimilating the training program, then divided into training groups. Next, REB Troops are trying to keep trained specialists as contractees. Lastly, efforts are made to simplify and automate systems to ease demands on personnel. But practice shows that making a high-class specialist in a year is very difficult, but an acceptable level of skill is possible if servicemen are focused on combat training as prescribed in their programs [i.e. not busy shoveling snow or building the commander’s dacha]. Turning to officers, Ivanov says Russian EW officers have lots of opportunities in the civilian sector, so manning the officer ranks is an ‘issue of special discussion.’ The problem, he says, isn’t as acute as the late 1990s, owing to a rise in status of officers in recent years. But he doesn’t sound exactly convinced on this score himself. Summing up the future for REB Troops, Ivanov concludes they have great possibilities, and coming qualitative changes in the development of EW forces and means must support its growth into a specific fundamental type of combat action which in many ways will determine the course and outcome of a battle. 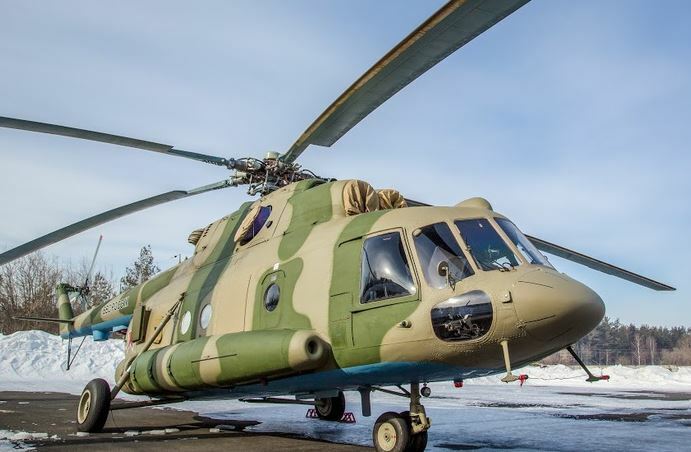 On 7 March, Russkiy Newsweek spent some time on Sozvezdiye [Constellation], aka the Unified Tactical Level Command and Control System (YeSU TZ). The system is sometimes called by the name of its manufacturer–Sozvezdiye. General Staff Chief Makarov in February said the system would be ready by November. Russkiy Newsweek concludes, if it actually appears, it will be a technological revolution. 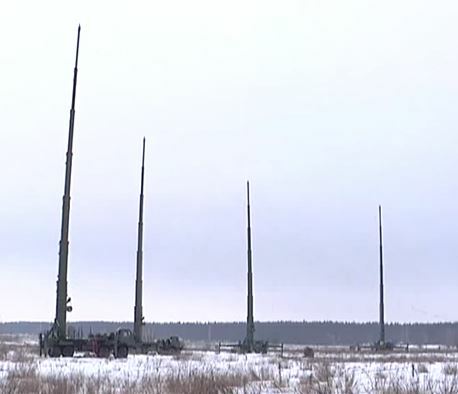 One Defense Ministry interlocutor said it now takes a day for orders to reach field commands from Moscow, but they will go practically in real time with this system. The author, Viktor Poltavtsev, says NATO already operates in a netcentric fashion, and Makarov is quoted about how an Iraqi Army superior in tanks and artillery was defeated by smaller coalition forces that could see and forecast events, calculate variants, and receive possible solutions in real time. Poltavtsev says, in the Genshtab, they believe the U.S. Army was 80 times more powerful than its opponent as a result of this information advantage. Despite willingness to entertain possible arms imports in many areas, there is a fear of imports when it comes to command and control systems. Aleksandr Golts notes that Russia lacks a component base–it can’t produce chips or circuit boards, but doesn’t want to buy them abroad either. The Georgians’ U.S.-made Harris system reportedly performed magnificently in 2008. One Sozvezdiye associate said that, when the smoke of that little war cleared, it was obvious the Russian Army had no communications, old or new, and things began to stir in the Genshtab. But Sozvezdiye’s testing has brought mixed results. YeSU TZ was tested last summer during Kavkaz-2009. Poltavtsev gives a little explanatory background. 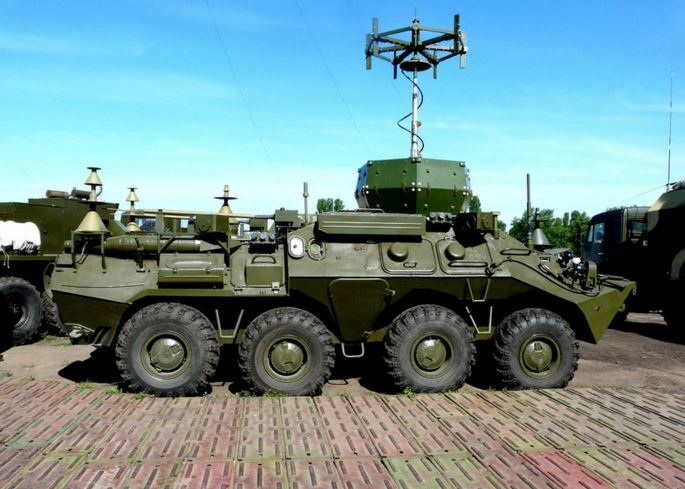 Akatsiya, around since the mid-1990s, is a Genshtab-Military District level comms system that was produced by Sistemprom. But it didn’t make too much sense without a tactical system to reach brigades-battalions-companies and individual soldiers. Enter Sozvezdiye. The Voronezh NII of Communications (aka Sozvezdiye) has worked since 2000 on a tactical level system. Its specialty heretofore had been satellite radio comms. 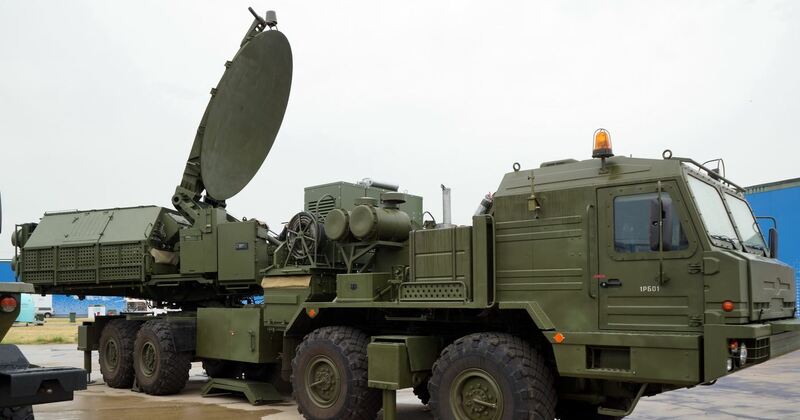 Sistemprom awaits the completion of Sozvezdiye’s system so it can connect the two, to create a single command and control system. As Poltavtsev describes it, generals will sit at Akatsiya stations and command divisions or brigades that have Akveduk. Brigade commanders will use Akveduk to command their battalions and companies in real time using fast, well-protected channels. So YeSU TZ is supposed to be the computer network that unites the battlefield–people, equipment, artillery, etc., like a computer game. Battalion and company commanders are supposed to be able to use digital channels to get reconnaissance photos, video, and other data, to give commands to troops, and to connect to higher staff elements. Today the commander still has to scream into the radio, but tomorrow he might send soldiers orders to their hand-held devices. But this is still theoretical. Everything will depend on the reliability of the equipment and comms channels. And the system can be blocked if the RF spectrum is suppressed. The system might not work against a modern, well-equipped enemy that can do this. Poltavtsev says Russian EW (or REC) systems were used against Sozvezdiye during testing in December at Alabino. And mobile phones, Internet, radios, and even some hospital equipment in the area stopped working as a result. A Sozvezdiye rep says their system was jammed on the Taman brigade’s range, but they can get around this by changing transmitters. The main thing, according to him, is developing algorithms for use in combat that everyone understands. Users say Sozvezdiye is complex and difficult to use, and it will take a while for commanders to sort out its arrows and symbology. The Defense Ministry has acknowledged that YeSU TZ needs significant reworking, but there’s no other way. General Staff Chief Makarov said everyone built their own C2 systems in the past; there were 16 military C2 systems in Soviet days. Now a common one is being built. However, Poltavtsev asked a PAK FA developer if his system is already integrated into Sozvezdiye, and he asked what it was, he’d never heard of it. An interesting account of Sozvezdiye . . . it sounds a little like the story of Bulava, i.e. ‘we have to unify our different systems,’ ‘there’s no other way but to make it work,’ etc. These are understandable, even commendable at times, goals and sentiments, but they don’t always lead to development of successful military systems. Sometimes the primary goal has to be a system that works. And sometimes designers and builders even have to start over.